Established in 1988, the law firm of Norton, Hammersley, Lopez & Skokos, P.A. offers the highest-quality personal service for individuals and businesses. 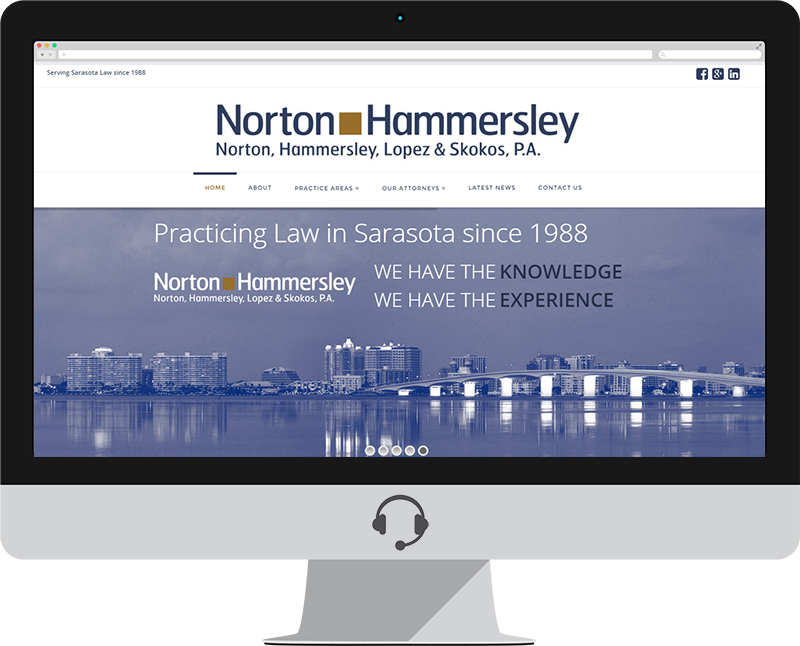 With over 25 years of Sarasota Law Practice experience, Norton Hammersley, a Martindale-Hubbell AV-rated law firm, is comprised of 10 attorneys and four main practice groups: real estate, business and tax law, trial practice and dispute resolution, and estate planning/administration and asset preservation. The firm also has an energetic, talented and knowledgeable group of paralegals and staff to assist clients with their individual and business needs in the most cost-efficient manner. We view each relationship as a new opportunity to create innovative solutions to individual challenges.